Vector graphics of different people and face icons. 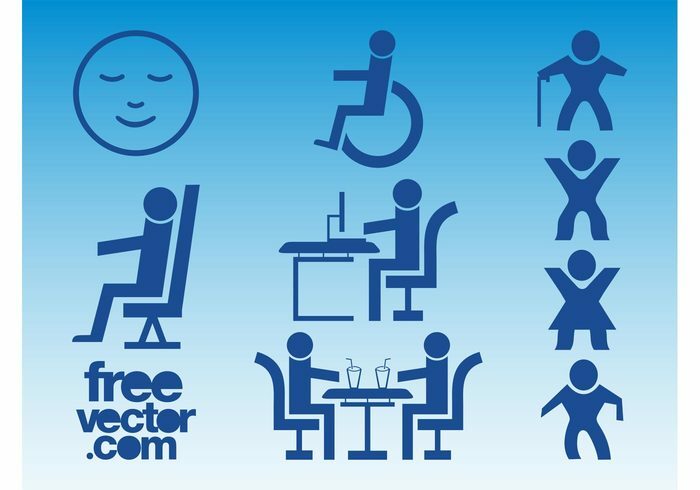 Solid colored silhouettes layouts with stylized walking people, symbols for disabled people and people sitting down and a smiling happy emoticon. Free vector graphics to create stickers, icons, public signs, decals and company logos.